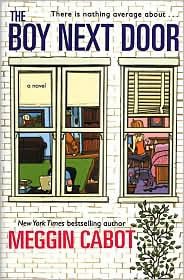 This was my first Meg Cabot book. I read it years ago. I still recommend it people all the time. I love the format of the book – all done in email format. We meet the characters and the story develops through emails between characters. Don’t skip the To, From and Subject, otherwise you may be lost. Like all of Meg Cabot’s books, this is a very fast read and great for the summertime (or anytime). I love the characters in the book and just wanted the book to continue. As I found out by reading everything written by Meg Cabot , this book is full of her traditional humor and spunkinest that I love. She is one of the best chick-lit authors, ever! Just to give you an idea - she was married on April 1st - April Fool's Day - since her husband had said, only fools get married. I had the honor of meeting Meg at a book signing at Books & Company in Dayton, Ohio (my favorite bookstore). She was too funny for words. I brought all my books for her to sign - adult ones - personalized to me; young adult - personalized to my two daughters. She was awesome and signed them all. I would give this book a 5 out 5. I loved this one too. It was such a fun book. I loved this book! I think I have read every Meg Cabot adult fiction. I also love the email format (I can't remember what this is called, technically that is). So glad to see you blogging! I don't think you ever told me about this one -- I love the other ones you mentioned - now I have to go back and read the prequel! Still working my way through Cather in the Rye right now - not sure how I escaped reading it in high school.